Tapping into the cultural zeitgeist and the love for all things 80s, District 1 Councilman Diego Bernal has created my favorite Fiesta medal that I’ve come across this year! 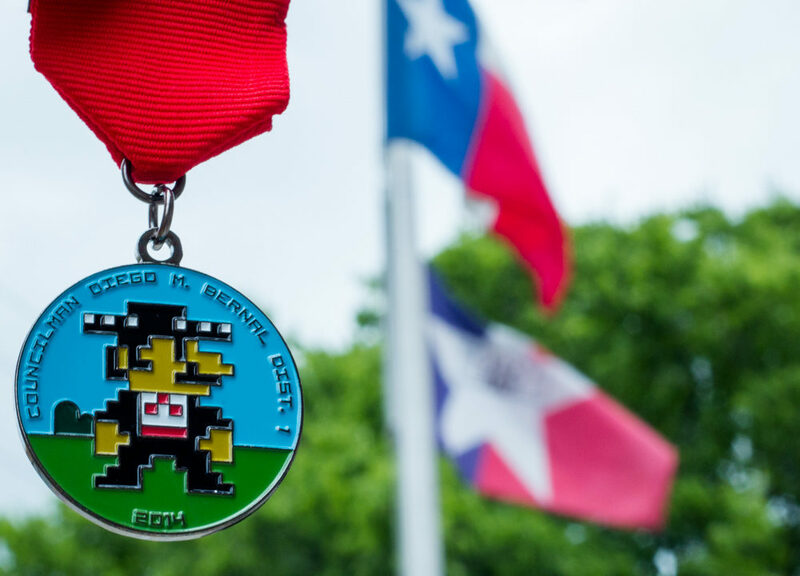 Bernal’s medal features an 8-bit Super Mario decked out in a mariachi outfit complete with a sombrero. Even the text is that old-school video game font. There’s a limited supply left, so I’d call the Councilman’s field office pronto to see if they have any left!